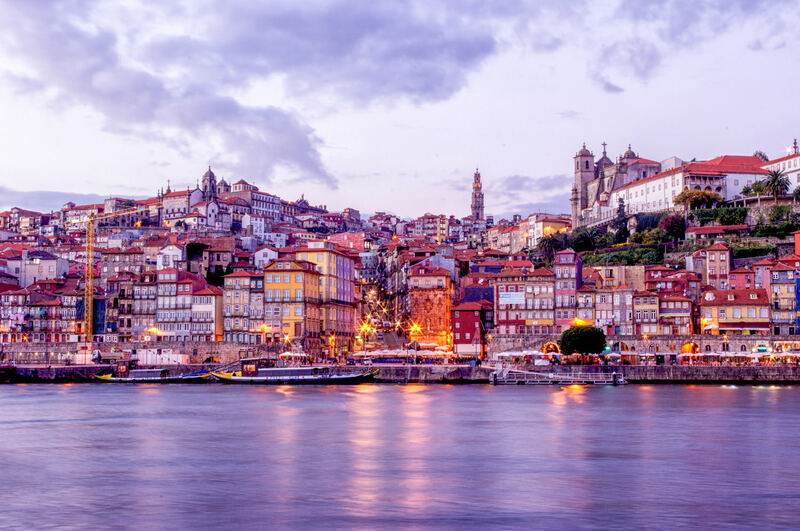 Porto has long been a hot destination for wine lovers — it’s the go-to place to find the best of that sweet, tasty port wine. But this city by the sea has more to offer than vinho. 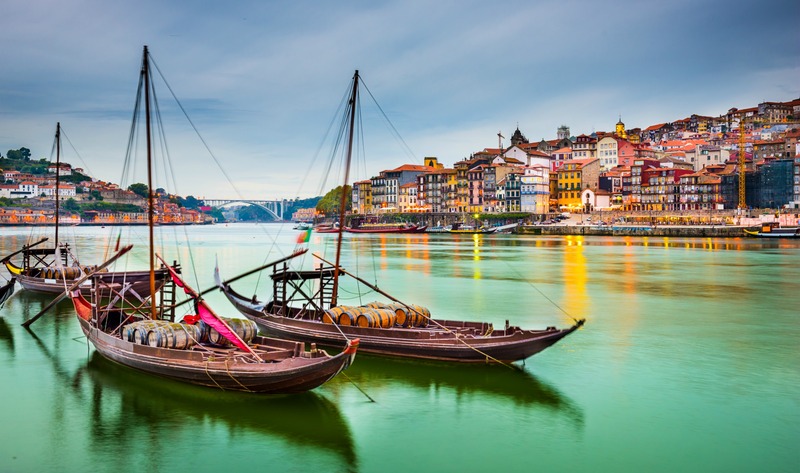 Porto (or Oporto, as it’s sometimes called) is an attractive European mini-metropolis on Portugal’s northwestern coast where travellers can get their fill of culture and the outdoors. Travellers can visit the city’s wealth of museums, admire its varied architecture and, of course, hit the beach. 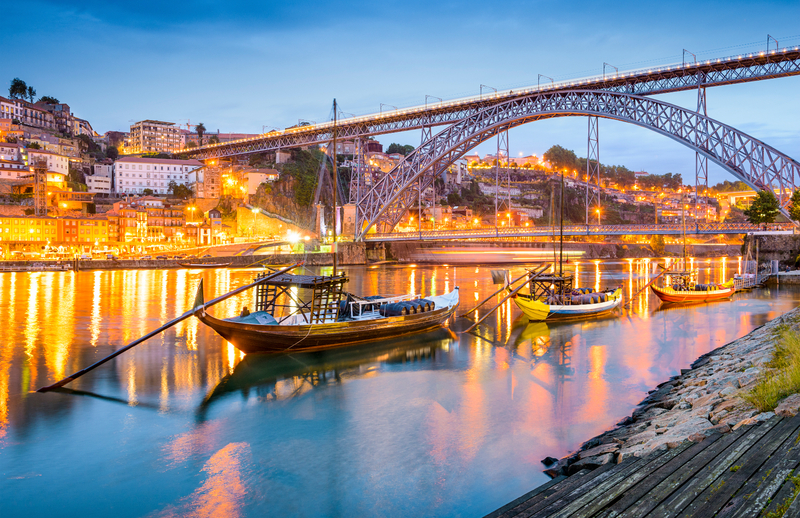 The city earns its nickname Cidade das Pontes, or “City of Bridges,” from the six arches spanning the Rio Douro (Douro River), which runs along Porto’s southern edge. Views of the Douro River are best enjoyed from the Dom Luís I Bridge, the most iconic of Porto’s six structures. 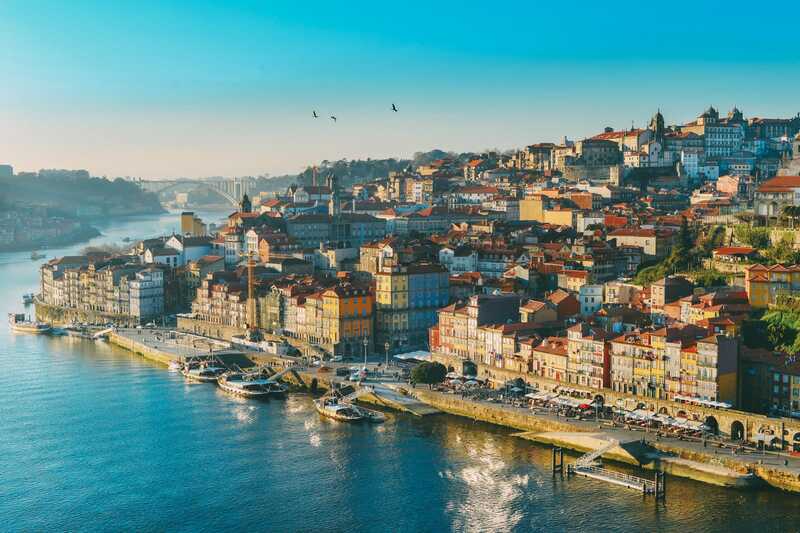 From here you can get a sense of Porto’s unique charm, from its colourful UNESCO World Heritage historic district to the north to the neighbouring town of Vila Nova de Gaia just south, where you’ll find the region’s infamous wineries. You could spend a long weekend or a week here strolling the city, discovering the contemporary art in the Serralves Foundation complex and appreciating the history behind Porto’s old churches like the Sé and Igreja de São Francisco. No matter what you choose to see and do in this captivating city, you’ll leave with an appreciation of Porto’s diverse offerings, some great photos and, hopefully, a bottle or two of its best wine. The best time to visit Porto is from May to September when the weather is often sunny and warm. Overall, Porto experiences a moderate climate. Summertime temps are high but bearable, and the breezes and nearby beaches will help you stay cool. The fall brings lower temperatures and occasional drizzle, while in the winter you’ll certainly encounter some rain. Springtime also sees showers (though fewer than in the winter) and moderate temperatures. Sightsee on Sunday Many museums, such as the Serralves Foundation and the Museu Nacional de Soares dos Reis, offer free entry on Sunday mornings and early afternoons. Plan to squeeze in your sightseeing than to save some cash. Porto has long been known for its production of wine. The Douro Valley region’s unique landscape of mountains and valleys paired with a warm, dry climate makes the soil here challenging but unique. The harvest process is similar to that in other wine regions, but here, they add some grape brandy during the fermentation process and then transfer the mixture to casks for ageing. The result is a sweet (typically red) port, which is consumed with (or sometimes as) dessert. Aside from its famous wine roots, the city is experiencing a tourist boom thanks to its newer museums and its historic centre’s designation as a UNESCO World Heritage site. Culture hounds have their hands full with everything from art and architecture to history and religious sites. Plus the city appeals to leisurely folk with its abundance of activities and sights on land and sea like biking, boating and swimming. Porto’s local cuisine features lots of seafood (because of its seat along the Atlantic Ocean) accompanied by lots of wine. Traditional dishes in Porto range from the Francesinha (a toasted meat, cheese and beer-based gravy sandwich served with fries) to tripas à modo do Porto (tripe cooked with white beans, sausage and vegetables). You can find appetizing tripe dishes at most restaurants, but travellers say Café Santiago (just southeast of Mercado Bolhão) and Caves Da Cerveja (along with the riverbanks of the Douro in Vila Nova de Gaia) serve up some of the best Francesinhas. Cod (or bacalhau) is also a popular main dish in Porto — a common saying is that there are more than 365 ways to cook cod. It can be served with potatoes and chickpeas (bacalhau com batata e grão), with scrambled eggs, potatoes and olives (bacalhau á Brás), or boiled with tomatoes and garlic (bacalhau á portuguesa), among other variations. Overall, some popular restaurants that get rave reviews from travellers for succulent Portuguese cuisine and impressive ambience include the Michelin-starred Yeatman restaurant in Vila Nova de Gaia, Praia da Luz in Foz do Douro (west of the city centre) and Chez Lapin along the Porto waterfront near the Dom Luís I Bridge. If you’re on a budget, you should still be able to find a great meal in Porto. Many restaurants feature pratos do dia (or plates of the day) for lunch, with the daily specials typically including fresh fish or meat dishes (and sometimes even a glass of wine and dessert) for a set price starting around €4 EUR (about $5.50 USD). 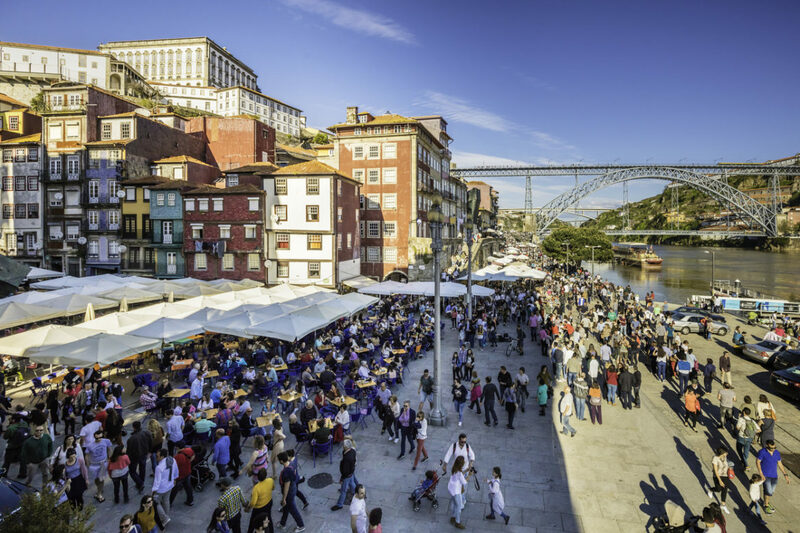 Keep in mind, meals are served a bit later in Porto, with diners sitting down for lunch between 12:30 and 3 p.m. and eating dinner between 8 and 11 p.m.
Porto is a fairly safe city with a low crime rate. However, you should always be aware of your surroundings and belongings, especially if you’re a solo traveller. Pickpockets tend to lurk around the touristy areas and on public transportation, so keep a hand on your purse or wallet. Be especially careful after dark and avoid walking through any alleys, where the homeless and some gangs congregate. The best way to get around Porto is by metro, by bus or on foot. Porto boasts an extensive public transportation system operated by the Sociedade de Transportes Colectivos do Porto (which includes the metro, buses and trams) that helps visitors reach the top attractions in and around the city. The metro lines are identified by different colours and letters, plus many of the lines travel above ground and offer splendid views of the city. Porto’s extensive bus system can be a bit confusing, and the metro reaches most major attractions, but the bus is a nice alternative to get to some harder-to-reach places, including Foz, the Serralves Museum and Vila Nova de Gaia. Once you’re in the city centre, you can explore on your own two feet. Porto’s nearest airport is Francisco Sá Carneiro Airport (OPO), which is located on the northwestern edge of the city. You can get from the airport into Porto by taking the E (purple) metro line toward Estádio do Dragão; the Lapa, Trindade and Bolhão stops are nearest the city’s centre. The Goin’ Porto shuttle also runs between the airport and the south end of Avenida dos Aliados, with one-way rides costing €5 EUR (or about $7 USD). You can also get a cab to or from the airport, but it’ll cost you about €20 to €30 EUR ($28 to $42 USD), and on the weekends it may cost you nearly 20 percent more.